Arsenal picked up another win this past weekend as they saw off Everton with a 2-0 victory at the Emirates on Sunday evening. 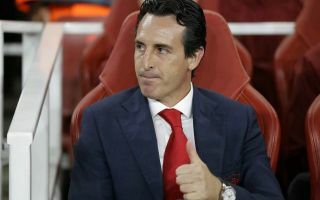 It was a fifth straight win for the Gunners in all competitions, as Unai Emery has seemingly put his difficult start behind him and is moving his side in the right direction. However, when analysing the game against the Toffees, former Arsenal ace Martin Keown raised a key concern that he still has with the current side. Although they kept a clean sheet on Sunday, Arsenal’s defence hasn’t exactly been water-tight so far this season, as evidenced by the fact that they’ve conceded nine goals in six league games. With that in mind, Keown believes that the backline has to improve in one key aspect if they are to continue to play with a high line, which he believes leaves them vulnerable if they get it wrong. “It’s a high [defensive] line but it’s a false line. Back in the day, Arsenal notoriously had that high line but we were there to drop off. I want them high but ready to drop,” he is quoted as saying on MOTD2, as per Football.London. There were certainly moments in the Everton win where Keown’s point was prevalent, and so Emery would arguably be well advised to listen to his assessment and ensure that they improve in that facet of the game. With Arsenal steadily improving under the Spanish tactician and picking up positive results regularly, shoring up the defence could be the last key piece of the puzzle to ensure that they’re ready to achieve their objectives this season. Given the likes of Alexandre Lacazette and Pierre-Emerick Aubameyang are seemingly ready to fire them to wins, finding that crucial balance in the side will be pivotal.